The European Union is at a crossroads. After Brexit and the growing loss of control of EU due to the insurmountable differences between Europe "old" and "new", it is impossible to live like this. What should be done to avoid a full collapse is understandable in general, but not every members of the community approves it. At the summit held in Brussels on 9-10 March, a common strategy for overcoming the crisis was not worked out because of Poland's sabotage. It will not be possible to do this before the anniversary Rome Summit of the EU, which will be held on March 25, and timed to the 60th anniversary of the beginning of European integration because of the lack of time. Instead of a holiday, this meeting turns into another formality and will become a new demonstration of discord. "The Roman declaration will make sense if it becomes not only the result of our cooperation, summed up on the occasion of the festive date, but if it will show what we want to do in the EU in the future," Polish Prime Minister Beata Shidlo considers. She stressed that Poland will sign the future Rome Declaration only if it reflects the previously agreed requirements of Warsaw, Bratislava, Prague and Budapest, in particular, there will be no mention of "Europe of different speeds", there will be no doubt "the integral nature of the general Market and the Schengen zone "and it will contain guarantees of" internal and external security ". Not a few requirements and what! And from the side of the country, which not only lost nothing, but also gained the most from the economic point of view and in terms of raising the standard of living from membership in the EU! What did the Brussels EU summit show? Discussion of European problems on 9-10 March in Brussels showed that the EU cannot make a decision. And that it is impossible to achieve unity even among the 27 members of the community (without Britain, which declared that in March 2019 it would completely break with the EU). That to achieve the creation on the basis of the other EU member states of a superstate - the United States of Europe - will not work too. There are too many differences between them, they often have opposite interests, it is simply impossible to reconcile these positions, and the EU summits are increasingly becoming a torture and an empty air shake. Yes, the urgent request of the German Chancellor Angela Merkel to her colleagues to "wake up" after Brexit has been heard, but the clarity in their collective head did not came at all. On the contrary, it was finally understood that it would be extremely difficult to agree even on how and to what extent heterogeneous interests could be combined, and that there were no guarantees that it would be possible to avoid new losses, for example, Polexit. As a result, the draft declaration for the Rome meeting, which the EU member states tried to work out at their informal meeting on March 10 (informal because British Prime Minister Theresa May did not participate in it, she decided not to go to Rome) proved to be extremely vague. It will not specify specific goals, and even a vision of the future of the European Union for the next ten years. Indeed, it is now becoming clear how wise, naturally, from its point of view, Americans have acted. Having played the ambitions of European politicians who imagined themselves to be heirs of Charlemagne, they prompted Brussels to expand the EU in 2004 on 10 countries, most of which were completely not ready for membership in the United Europe, and became a terrible burden for it. Washington understood that the EU would be "choked" by such a huge chunk and at the right time it would be helped from overseas to disrupt the real European integration capable of engendering a geopolitical competitor of the United States, already dissatisfied with the fact that the euro competed with the dollar as a global reserve Currency. By laying down a time bomb under the EU, the US was simultaneously able to drag the Baltic countries into NATO, to create a springboard for further expansion of the alliance to the east - against Russia. And it was quite possible. But the EU overestimated its strength. Brussels did not heed the warnings of wise European politicians like Jacques Delors, who said that the EU would not survive and ultimately become a simple free trade area, with which it all began. This one of the founders of the EU predicted, even in an interview with a Belgian newspaper in 2004, that the community in its current form remained 15 years old. It is already possible to say for sure that, at least with respect to Britain, he was in the top ten. The question for Europeans now is how to get out with the least losses from the long-predicted crisis, previously ignored by the European leadership? At the EU summits, Brussels corridors and European capitals, this is the most discussed topic now. The last Brussels summit showed that there are now no alternatives to the "Europe of two speeds", members of which became either the Chancellor of Germany Angela Merkel, , and the French President François Hollande, not for good life, now it simply do not exist, like the EU section on the "root" and "periphery", although countries falling into the latter category do not want this at all. There is a camp in the EU, that has emerged from four large West European states - the West Germany, France, Italy and Spain, joined by them, whose ruling circles, with considerable support from the population, want the continuation of European integration. They are not ready to put up with the fact that other countries delay this process. Dutch Prime Minister Mark Rutte also came to the conclusion that it would have to be abandoned the promise of an increasingly tightly integrated single union - instead, the "core of Europe" and "periphery" would appear. It is clear that a number of EU countries that have no ambitions and do not want to get off the Brussels-Berlin financial subsidies will join this camp. 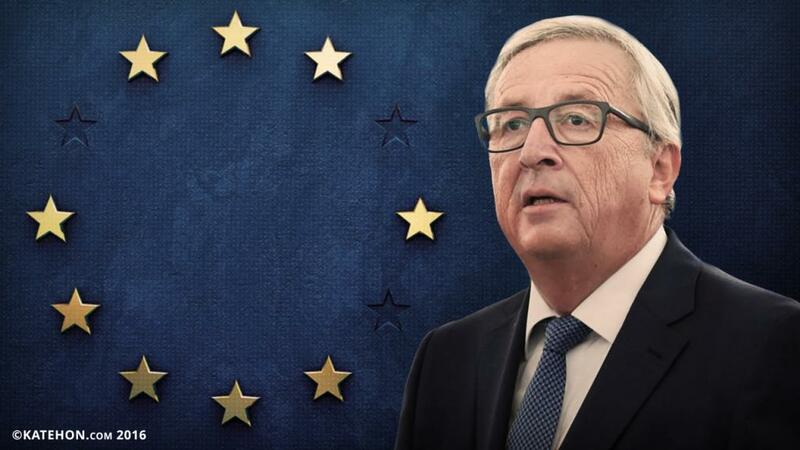 As European Commission President Jean-Claude Juncker said at the final press conference of the forum, most of the EU member states "do not object" against "Europe of different speeds." He also drew attention to the fact that elements of such a Europe already exist, and everyone knows: "Out of 28 EU countries only 19 are in the eurozone, but within these 19 countries only 10 are ready to jointly impose a tax on financial transactions." At the same time, he continued, the Schengen zone includes 22 of 28 EU countries plus four other countries that are not members of the EU. In other words, to some extent the European countries cooperated with each other as much as they thought necessary, but now, from an exception, this approach becomes the rule. Even if someone does not want this, it is inevitable. At the same time, another "dissident" group of countries is being formed in the EU, led by Poland, which actually wants to limit the EU to the domestic market, continuing to receive generous financial subsidies. Annually, 11 billion euros are transferred to Poland from European support funds. This country - the largest beneficiary of membership in the EU, has already received from Brussels about a couple of hundred billion euros. In two years, the next EU budget will be discussed, which in any case due to Britain's withdrawal will be less. It is not surprising, therefore, that the leaders of the countries of the "root" Europe have already begun to threaten those who disagree with the new course to cut subsidies. This blackmailed in Brussels at the last summit of Hollande Shidlo. The Polish prime minister said in response that "she is not afraid of blackmail." "If I seriously perceived the blackmail of the president who, according to polls, has 4% of support and will soon not be president ... If in the EU policy they believe that the state can be blackmailed by saying that someone will not get any money On some projects, the EU has fatal prospects, "Shidlo said. Although last time in Brussels Poland remained alone for a number of reasons, it still enjoys wide support on many issues from the countries of the Visegrad Group, which also includes Hungary, Slovakia and the Czech Republic. They insist on taking into account Brussels' national interests, they are dissatisfied with the dictates of Berlin, primarily in the sphere of illegal migration and the forced distribution of "refugees" among the countries of the community, but they want to receive financial grants and do not want to be on the "periphery" of the EU. Against the "Europe of two" speeds are other countries in South-Eastern Europe, for example, Romania and Greece, who not joined the EU not to be on the sidelines. So, let's sum up the most obvious results. First, there will be no European super-state in the current borders of the EU. Secondly, the community becomes more flexible or, if you like, a loose union that lives by the principle "insofar as it is". Thirdly, it is inevitable to form the "core" of the EU ready for further integration, which will be the countries of the "root" Europe and who have joined them on the basis of a complete rejection of any national interests of the Euro-outsiders, who will have to agree, in particular, to accept the "refugees" Quotas for the sake of continuation of the euro-financing on the ruins of the national economy that failed to compete with the countries of the "core". Fourthly, the emergence of a "second-class Europe" is inevitable, which will include countries that do not want to completely break with Brussels and go to a frightening solitary sail, but also do not want to completely abandon their national sovereignty at the same time. And, finally, the following candidates are likely to emerge from the EU, the most obvious of which is Poland, unless, of course, Brussels and Berlin succeed in making a "regime change." Too a lot of Warsaw wants from its partners, not wanting to give them anything in return. In general, much will depend on how the EU will survive the coming years, and what will happen in Britain after Brexit. If the life of the British improves, it cannot be ruled out that in the EU there will also be a small group of countries oriented to London and the US behind it. Among them may be, for example, Denmark, which is already only partially integrated into the EU. Do not forget that all these processes will not take place in pure laboratory conditions. USA Donald Trump clearly indicated that they consider the EU project to be competing, and they are interested in its maximum easing and even collapse in order to communicate from a position of strength with each of its members separately. All this promises Europe, where in 2017 in five EU member states there will be parliamentary elections, in three states - presidential, and there will still be elections in the two candidate countries for accession to the EU, new problems.